The Lakewood Summer Meltdown sponsored by Melt Bar & Grilled doesn’t return to Downtown Lakewood until July 14, yet it’s not too early to get ready for this highly-anticipated community event. Secure your ticket now for a chance to win one of two Cannondale Quick 5 Disc bicycles. LakewoodAlive is proud to announce the 2nd Annual Summer Meltdown Bike Raffle presented by Beat Cycles. This raffle offers contestants an opportunity to win one of two Cannondale Quick 5 Disc bicycles valued collectively at more than $1,300. New this year: Beat Cycles will fit the lucky pair of raffle winners to bikes of the proper size. Bike enthusiasts are invited to visit lakewood-summer-meltdown-bike-raffle.eventbrite.com to secure raffle tickets in advance for two separate drawings (for both female and male bike models) now through July 13. Tickets will also be available for purchase at Beat Cycles (15608 Detroit Avenue in Lakewood) starting today, June 21. Look for the bikes to be on display in Beat Cycles’ storefront window. Beat Cycles is generously throwing in a variety of accessories to complement the lucky winners’ new bikes. Tickets will also be available at the Beat Cycles Tent during the Summer Meltdown, which takes place from 4 to 10 p.m. on Saturday, July 14, in Downtown Lakewood. The raffle drawing will be held at 9:30 p.m. on the main stage in the Gary K. Bish Memorial Beer Garden sponsored by First Federal Lakewood. 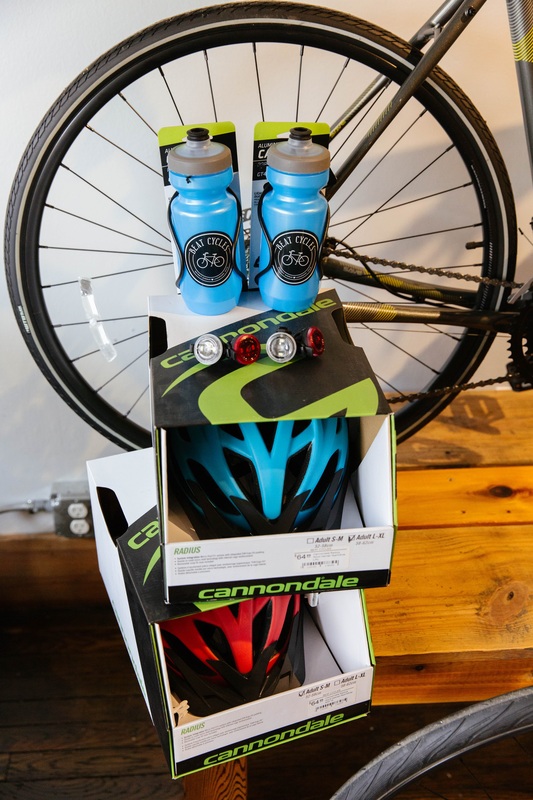 Contestants need not be present to win, and both winners will also receive the opportunity to visit Beat Cycles for a complimentary bike helmet, riding lights, water bottle and bottle cage. 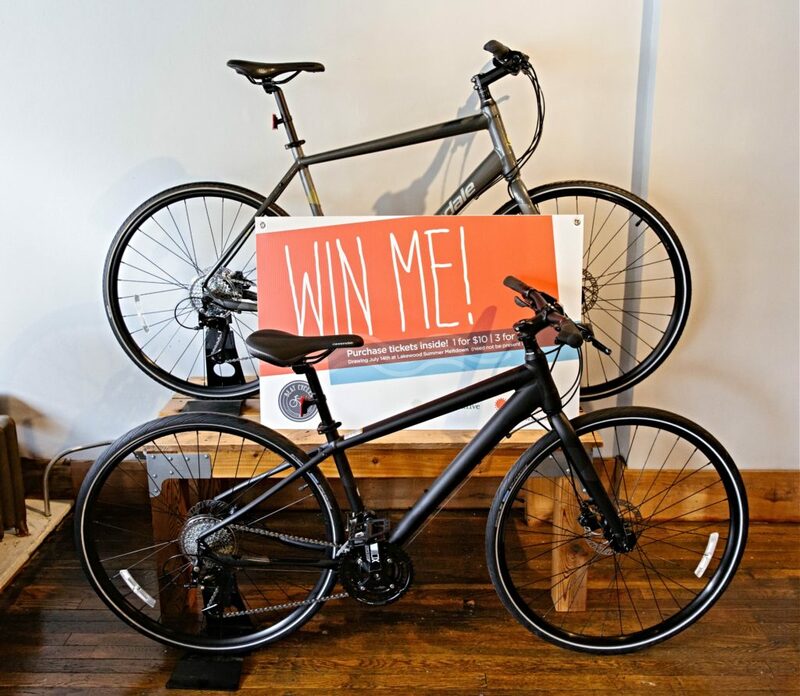 Beat Cycles has generously donated two Cannondale Quick 5 Disc bicycles for the Summer Meltdown Bike Raffle. With lightest-in-class weight, comfortable ride and supremely stable, confident handling, this popular bike model is the perfect tool to get fit, get around the city and have fun doing it. Visit Beat Cycles for more information. One of the region’s most highly-anticipated street parties, the Summer Meltdown draws more than 10,000 attendees from across Northeast Ohio to the heart of Lakewood. This fixture on our city’s summer calendar takes place on Detroit Avenue between Marlowe and Mars, offering seemingly endless recreation and celebration opportunities. These include the Meltdown 5K sponsored by Cleveland Clinic Lakewood Family Health Center, 1 Mile Kids Fun Run sponsored by Lakewood Family YMCA, the Gary K. Bish Memorial Beer Garden sponsored by First Federal Lakewood, a street festival, live music, food vendors, outdoor activities, games and more.